Vegan Dogs – Is this a good idea? September 24, 2018 January 17, 2019 VeggieluvLeave a Comment on Vegan Dogs – Is this a good idea? Shockingly there’s been more than a 500% increase in people now calling themselves vegan in the U.S. in the last three years. According to research gathered from GlobalData, just 1% of people in the U.S. identified themselves as being vegan in 2014, and in 2017 that number grew to 6%. For a nation that loves their animals, more than 40% of single family residences own a pet – and and a country that has more than 8.5 million dogs – it’s normal that these figures will affect the food for pets. This had lead to the shockingly high availability for vegan dog foods. Before you consider changing your dogs meal to a strict high protein vegan diet it wise to consider the impacts. Cat are different in this aspect, they’re carnivores and need meat to live but dogs can live that vegan lifestyle, theory has it that is. Fun fact, dogs are a subspecies of the grey wolf. Though are the extremely different in many way, wolves and dogs can still mate to produce a viable and fertile offspring. This information makes them good study cases to get an idea of what works in the wild. Despite having an high IQ on the hunting scaled, the diet of grey wolves differs greatly with the environment and season. In depth research in Yellowstone Park have found during the summer months their food choices range from small rodents, birds and invertebrates along with larger animals like elk and deer. All of which are a high protein diet. With that said, plant based foods are common in their diet as well, with more than 70% of wolf poop containing mainly grass. A recent study published about wolves reflects them eating a log of fruits and grasses. The problem with these types of studies are is they do not assess how much of the diet is made up of plant matter. So the ultimate comparison between dogs and wolves being omnivores are still not 100% known. Dogs aren’t exactly the same as wolves either. Studies show the dog was domesticated roughly around 14,000 years ago. However, genetic evidence shows it could be anywhere up to 100,000 years ago. This amount of time has allowed for a lot of changes to occur. Over the years dogs have adapted with human civilization and exposed to human food. The evolution of dogs to a more high protein vegan diet through domestication haven’t been at the enzyme level. All animals need bacteria in their bellies to help digest food. Only recently , is was found that the gut microbiome of dogs is very different than wolves, with further data that bacteria can break down carbohydrates and to some degree produce amino acids normally created from meat. The way we feed our lovable dogs is very different from the way wolves eat. This is a result of domestication, change in diet, the amount and quality is also likely to have a n effect to the smaller body size and shrinkage in teeth size. Recent studies have shown that in North America, domesticated dogs in comparison to wolves suffer more teeth loss and fractures even though their being fed softer food types. This could be due to the lack of bones and the lack of skills to be able to scavenge. Skull size and shape structure have had amazing effects on chewing capabilities in dogs. Studies have suggested a link between the skull shape of dogs and their dental make-up. Also, the increasing trend for dogs breeds with particularly shortened muzzles suggests evolution is further pushing them away from a diet of gnawing on tough bones. There’s limited published studies about dogs going vegan. As omnivores, dogs should be able to adapt to a well prepared commercial high protein vegan lifestyle. 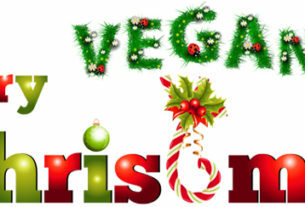 As long as the vegan recipes have the essential vegan nutrition they would get from meat are present. One study shows the ability for sled dogs to maintain on a carefully produced meat-free diet. Please note that not all pet foods are made the same with a high protein and other essential ingredients for vegan meals. A US study found 25% of the ingredients did not contain the nutrients needed. 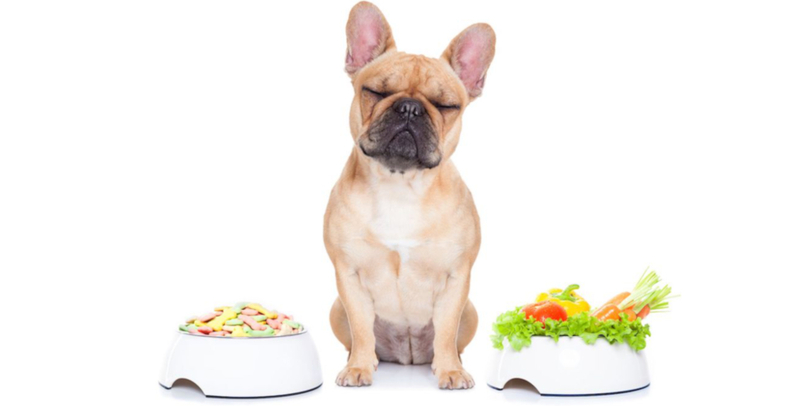 Vegetarian diets for dogs made at home are even more risky, One study showed of more than 85 dogs in Europe showed that more than half lacked protein, amino acids, calcium, zinc, vitamins D and B12. Vegan foods could be very risky for dogs. There’s another fact the raw hide, bones and meat-based chews can offer behavioural benefits to dogs. Chewing on these items can be extremely satisfying and calming experience for dogs. And in today’s time where a lot of our family dogs experience hours of time alone, such opportunities can be invaluable. Seeing that humans have removed the freedom of our ancestral dogs, it could pose arguments that their diet are the last area where this can be included.